Facebook for Magazine: But WHY?? Facebook and other Social Media platforms are being used for almost every business and every possible sector. And literary pieces are no different or at least should be no different. 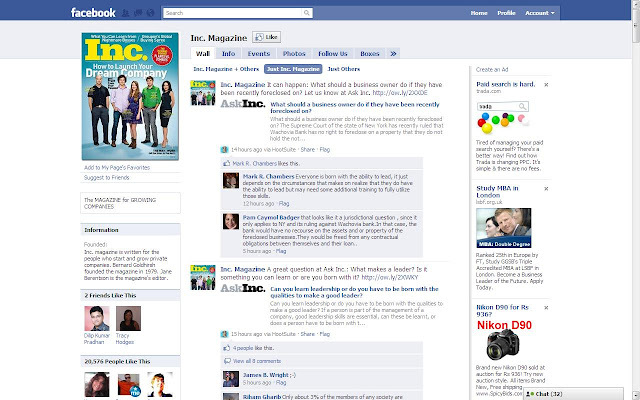 Your magazine whether it is a web-magazine or a printed one needs to leverage the best Facebook practices. The Question here is – “Why do we need these so called best Facebook practices for a magazine? " 1. If you publish a literary piece (say magazine), obviously you need readers. And what else than a platform with 500+ million active users can give you that much required readership/viewership!!! 2. You always need a thought provoking platform that can give you some real quick FEEDBACK on your literary piece to develop it further to the next level. And with the availability of features such as ‘LIKE’ and “comment” in Facebook you are more than sure to get the quickest feedback ever. Consider the fact that a written criticism or appreciation will reach you as per the speed of the postal or courier services, whereas the feedbacks gathered through social networking or social media platforms are always the quickest, bet on Facebook. 3. Publicity at the loyal most level by readers is best possible with the SHARE button available to each and every post or update. Share button simply gives a new dimension to the use of Facebook for your magazine. 4. When we say Publicity, the Facebook Fan-Page or the Group that you have for your literary creations plays a vital role. Fan-Pages can have unlimited no. of fans unlike your personal account in Facebook with a limited no. of fans and hence they are best place to promote your magazine to a bigger audience almost instantly. My next Article will cover this question - How to utilize these Facebook products for your magazine? Stay Tuned!!! 5. If your magazine is specified to a Geo-targeted audience base, you can utilize the settings available to all the Facebook products. You can define the specific locations for readership/viewership or alternately you may also restrict some regions as well. 6. If you are planning to deploy the best Facebook practices for your adult magazine, just take care of the age issue present to each of the powerful Facebook products. Pornographic contents are NOT allowed in Facebook, so it’ better not to try the luck here on Facebook. 7. Magazines like “Success Magazine”, “Inc.” etc. are the perfect examples deploying best Facebook practices. They engage the new age readers through their fan-pages. The technique of readers’ engagement is really very crucial for the success of any magazine. So, these are the 7 reasons explaining the requirement of best Facebook practices for a magazine. After discussing the reasons for using Facebook, in my next Article, I will discuss the best ways to utilize the Facebook products. Stay Tuned!!! Gud 1...jas waiting 4 d next article..
And I really am thankful that you shared my Articles with your friends too. @ Tanzu - Thank You Dear. Fasten your seat-belts for the next one by this weekend.